As discussed in the previous post, deadlock has following characteristics. We can prevent Deadlock by eliminating any of the above four conditions. It is not possible to dis-satisfy the mutual exclusion because some resources, such as the tap drive and printer, are inherently non-shareable. Allocate all required resources to the process before the start of its execution, this way hold and wait condition is eliminated but it will lead to low device utilization. for example, if a process requires printer at a later time and we have allocated printer before the start of its execution printer will remain blocked till it has completed its execution. The process will make a new request for resources after releasing the current set of resources. This solution may lead to starvation. Preempt resources from the process when resources required by other high priority processes. Each resource will be assigned with a numerical number. A process can request the resources only in increasing order of numbering. For Example, if P1 process is allocated R5 resources, now next time if P1 ask for R4, R3 lesser than R5 such request will not be granted, only request for resources more than R5 will be granted. 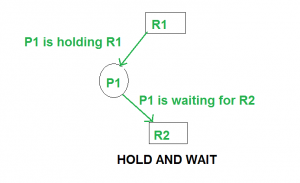 Deadlock avoidance can be done with Banker’s Algorithm. 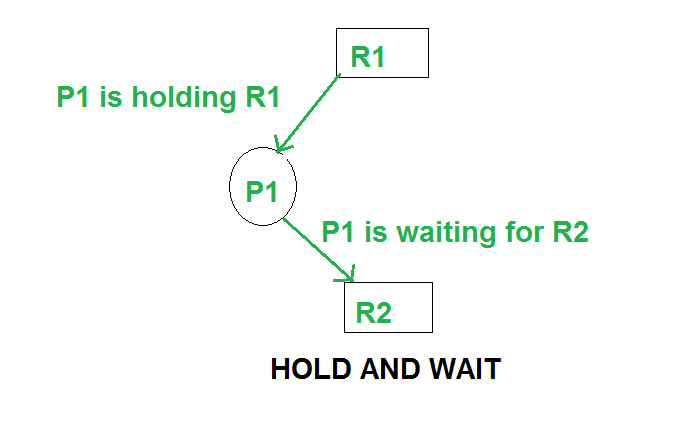 Bankers’s Algorithm is resource allocation and deadlock avoidance algorithm which test all the request made by processes for resources, it checks for the safe state, if after granting request system remains in the safe state it allows the request and if there is no safe state it doesn’t allow the request made by the process. Max need of resources by each process. Currently allocated resources by each process. Max free available resources in the system. If the request made by the process is less than equal to max need to that process. If the request made by the process is less than equal to the freely available resource in the system. Need = maximum resources - currently allocated resources. Note:Deadlock prevention is more strict that Deadlock Avoidance.